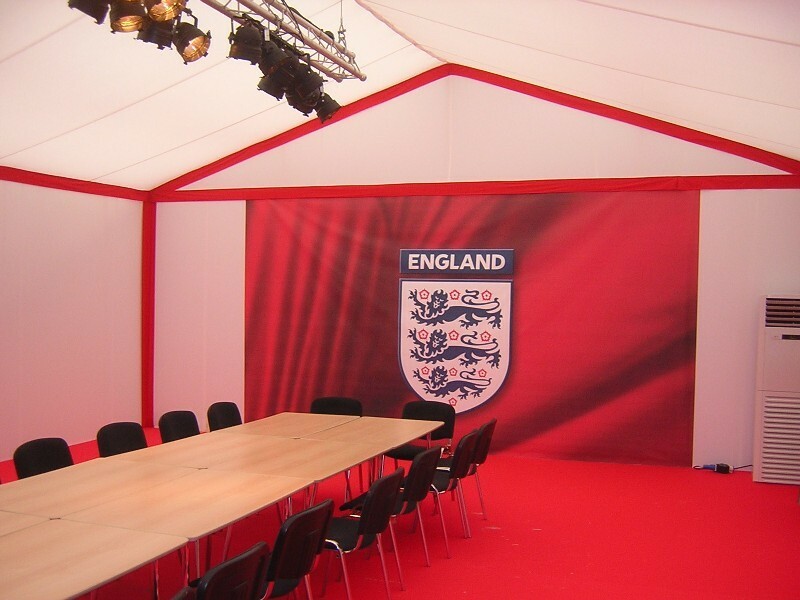 GL events Owen Brown will be providing the FA with temporary structures to house the England Team Media Centre at this summer’s FIFA World Cup. They will also supply temporary coverings for fan zones, refreshment areas and retail and merchandise outlets at the prestigious event in South Africa. The Derbyshire based firm, who have worked alongside the FA for the past twelve years, will be sending out ten site workers later this month to start the build. It’s going to be a busy summer for the company as they have also secured a deal with the Women’s Rugby World Cup. Owen Brown has a history of providing structures for rugby and this August will arrange temporary structures, picket fencing, screening, trailer toilets and spectator seating for the event in England. GL events Owen Brown is one of the UK’s leading suppliers of marquees and temporary structures, specialising in large corporate hospitality events, sporting events, exhibitions and much more. They have been involved with many high profile projects, ranging from major sporting events such as Royal Ascot, Goodwood Festival of Speed and the British Grand Prix, to spectacular corporate events set within the stunning surroundings of Somerset House and Hampton Court Palace. To see how they can use their expertise and structures to help you create your perfect space, contact one of their specialists on 01332 850000, or visit www.owen-brown.co.uk.